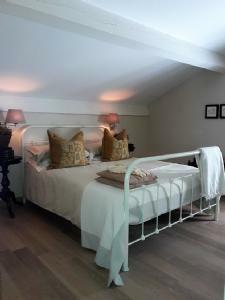 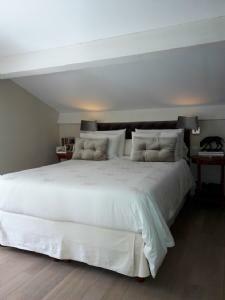 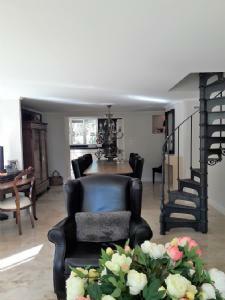 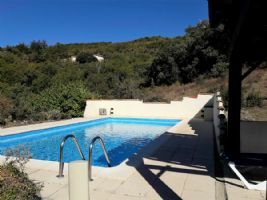 3 houses located in the heart of hills including a main house with 123 m² of living space offering kitchen/lounge/living room, 2 bedrooms, covered terrace with summer kitchen, a pool and breathtaking views, on 14.5 hectares with 2 gites of 60 m² each, both with own pool and covered terrace. 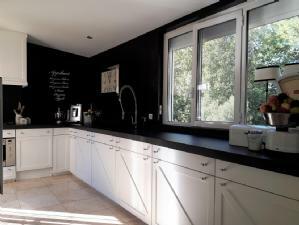 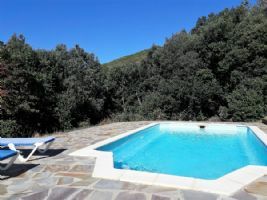 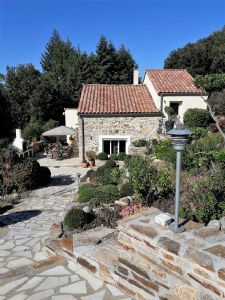 In a hamlet located at 10 minutes from Riols and Saint-Pons de Thomières (all shops, bars, restaurants, supermarkets, schools, doctors…), 35 minutes from Saint Chinian , 1h from Béziers and 1h15 from the coast. 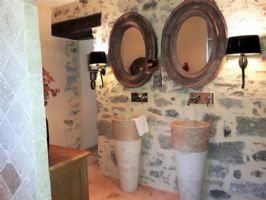 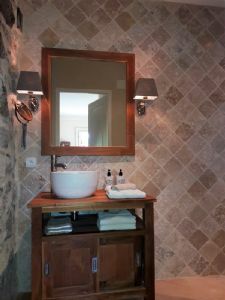 Ground = Corridor of 12 m² with nice exposed stone wall + wc of 1.77 m² with hand basin + laundry area of 4.12 m² with hatch to the attic + washroom of 4.44 m² with exposed stone wall (basin unit, cupboards, italian shower) + bedroom of 16.85 m² with beautiful oak parquet, built-in cupboards and chest of drawers + bedroom of 16.40 m² with built-in cupboards, oak parquet floor and washroom en suite of 9.70 m² (heating by floor and walls in shower, 2 somptuous basin units and italian shower). 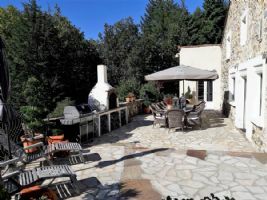 -1st = Magnificent iron art deco stairs to charming lounge of 40.63 m² with Godin stone fireplace and access to the terrace by french window + beautiful equipped kitchen of 15 m² (electric oven, gas hob, hood, lower units, sink, stone quality working plan, microwave) with lots of storage and access to the terrace by french window + wc of 1.24 m² with hand basin. 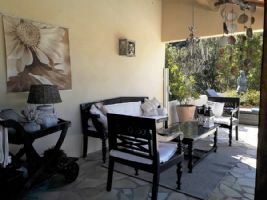 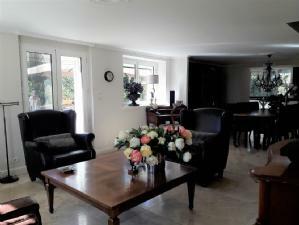 Single storey house, fully furnished, of about 60 m² with a lounge/living room of 32 m² giving onto a fitted kitchen (lower and higher units, fridge, oven, washing machine) with sliding doors onto the terrace + corridor of 4 m² + washroom of 4.20 m² (wc, basin unit, shower) + bedroom of 8.82 m² + bedroom of 11.51 m². 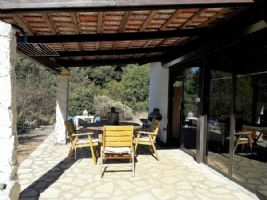 Single storey house, fully furnished, of about 60 m² with a lounge/living room of 32 m² with fireplace and giving onto a fitted kitchen (lower and higher units, fridge, oven, washing machine) with sliding doors onto the terrace + corridor of 4 m² + washroom of 4.20 m² (wc, basin unit, shower) + bedroom of 8.82 m² + bedroom of 11.51 m².